The Japanese collectibles company X-Plus Co., Ltd. has provided SciFi Japan with information and giant, high-res photos of their Daikaiju Series: King Ghidorah (1964) figure from Toho’s classic GHIDORAH: THE THREE-HEADED MONSTER (三大怪獣 地球最大の決戦, San Daikaijū Chikyū Saidai no Kessen, 1964). The first and only Fate VR drama makes its way to the PlayStation Store! From the makers of the hit mobile game FATE/GRAND ORDER comes a brand new virtual reality experience — FATE/GRAND ORDER VR feat. MASH KYRIELIGHT. Brought to you by the FGO PROJECT, the first and only Fate VR drama will be available on February 26, 2019 on PlayStation VR in the United States for free and players will have access to two original stories featuring Mash Kyrielight and Altria Pendragon. FATE/GRAND ORDER VR feat. MASH KYRIELIGHT will be available from the PlayStation Store via internet browser or through a PlayStation 4 console. Those who have purchased the game from the browser version of PlayStation Store will be able to access the experience on the PlayStation 4 console’s download list. ULTRAMAN ARCHIVES presents a special night devoted to ULTRA Q Episodes 16: GARAMON STRIKES BACK. 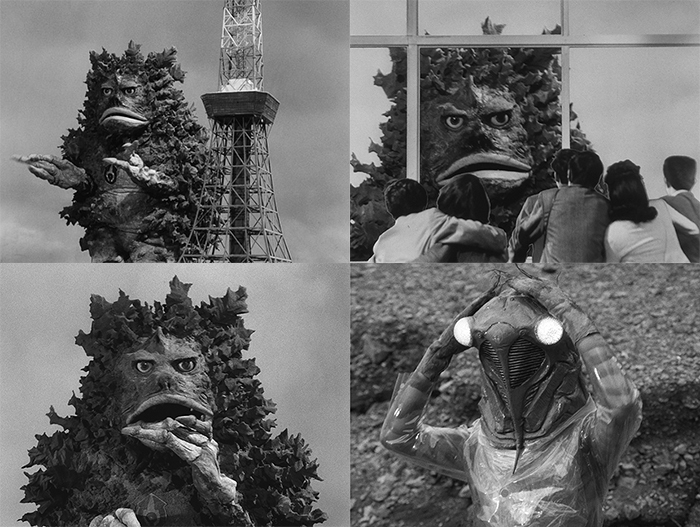 Photos courtesy of Tsuburaya Productions. Tsuburaya Productions Co., Ltd. has announced the second ULTRAMAN ARCHIVES Premium Theater Screening & Special Talk will focus on ULTRA Q Episodes 16: GARAMON STRIKES BACK (ガラモンの逆襲, Garamon no Gyakushū). 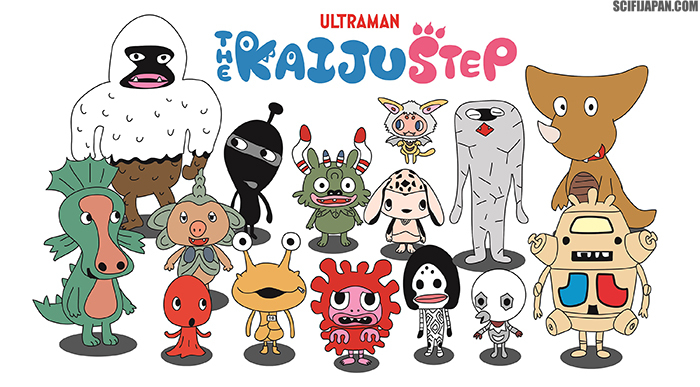 Tsuburaya launched the ULTRAMAN ARCHIVES (ウルトラマンアーカイブス) Project in October 2018 as a way to generate a deeper appreciation of the 50 year heritage of the Ultraman Series, both for longtime fans and those unfamiliar with the franchise. Japanese edition of Dragon Ball: A Visual History. Image courtesy of VIZ Media. © 2015 by BIRD STUDIO, Toyotarou /SHUEISHA Inc.
VIZ Media, LLC, a premier company in the fields of publishing, animation distribution, and global entertainment licensing, announces the publishing rights for Akira Toriyama’s Dragon Ball: A Visual History. Photos courtesy of X-Plus. Godzilla, Gaira and Sanda TM & © TOHO CO., LTD. Ultraman 80 and King Maimai © © TSUBURAYA PRODUCTIONS. The Japanese collectibles company X-Plus Co., Ltd. has provided SciFi Japan with information and daikaiju-sized photos of their giant monster figures scheduled for release in March 2019. Bluefin, the leading North American distributor of toys, collectibles, and hobby merchandise from Japan and Asia, has announced a collection of innovative 3D puzzles commemorating beloved characters from a variety of Studio Ghibli anime films. The Japanese collectibles company X-Plus Co., Ltd. has provided SciFi Japan with information and giant, high-res photos of their DefoReal Series figure of Hedorah the Smog Monster. The Japanese collectibles company X-Plus Co., Ltd. has provided SciFi Japan with information and daikaiju-sized photos of their giant monster and anime figures scheduled for release in February 2019. Learn How To Crochet Gorgeous Desserts That Become Fun Accessories Including Key Chains, Magnets, Pouches, And More! VIZ Media, LLC, a premier company in the fields of publishing, animation distribution, and global entertainment licensing, presents the vivid world of Japanese amigurumi with the release of Amigurumi Sweets: Crochet Fancy Pastries and Desserts! on February 12th. Featuring easy-to-follow patterns created by Miyuki Ichikawa, Amigurumi Sweets: Crochet Fancy Pastries and Desserts! carries a print MSRP of $14.99 U.S. / $19.99 CAN. The book features various patterns that can be used to crochet an array of delectable desserts from parfaits and macarons to cream puffs and taiyaki. Patterns also contain instructions on how to turn desserts into a variety of sweet accessories including key chains, pouches, bag mascots, and more! 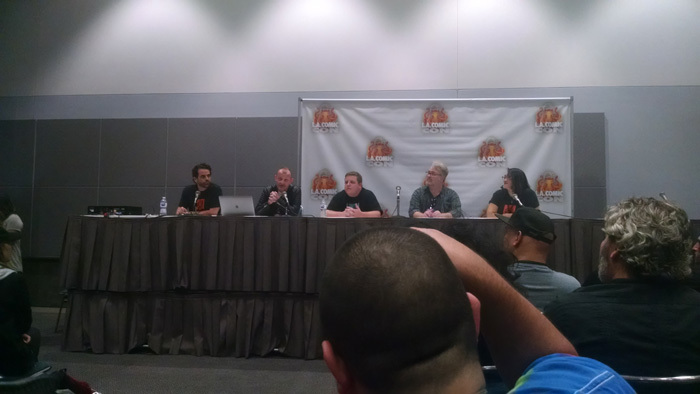 Legendary Pictures’ panel at LA Comic-Con. Picture courtesy of Andrew Nguyen. The 2018 LA Comic Con included a panel by Legendary Pictures to promote its comic book tie-ins for the MonsterVerse series, which includes the films GODZILLA (2014), KONG: SKULL ISLAND (2017) and the upcoming GODZILLA: KING OF THE MONSTERS. The panel featured five panelists — moderator Robert Napton, Barnaby Legg, George Tew, Drew Johnson, and Jann Jones. NECA goes back to the movie that started the reign of the most famous kaiju in the world with the Godzilla – 12″ Head to Tail Action Figure – 1956 Movie Poster Godzilla figure! Twentieth Century Fox Consumer Products has announced new details about their line of merchandise inspired by ALITA: BATTLE ANGEL, the latest theatrical release from visionary filmmakers James Cameron (AVATAR) and Robert Rodriguez (SIN CITY). The lineup of film-inspired products for ALITA: BATTLE ANGEL includes figures, collectible prop replicas, cosplay and costumes, novelizations, making-of books and subscription gifts. Starring Rosa Salazar (the MAZE RUNNER franchise), Christoph Waltz (DJANGO UNCHAINED) and Keean Johnson (NASHVILLE), and based on Battle Angel Alita (銃夢, Gunnm), the acclaimed manga series by Yukito Kishiro, the highly-anticipated film hits theaters worldwide beginning on February 5, 2019 and opens in the U.S. on February 14. From licensing partners such as Funko, Weta Workshop, Titan Books, Loot Crate, Hot Toys, Prime 1 and Rubie’s, fans of ALITA: BATTLE ANGEL can own a variety of merchandise and collectibles. The Japanese collectibles company X-Plus Co., Ltd. has provided SciFi Japan with information and giant, high-res photos of their DefoReal Series figure of the American version of Godzilla from TriStar Pictures’ GODZILLA (1998). Also known in Japan by the nickname “Emegoji” — after the film’s director, Roland Emmerich — the monster was a vastly different take on Toho’s King of the Monsters. VIZ Media, LLC, a premier company in the fields of publishing, animation distribution, and global entertainment licensing, announces the release of Kakuriyo: Bed & Breakfast For Spirits on January 1st. Kakuriyo: Bed & Breakfast For Spirits was illustrated by Waco Ioka and features character designs by Laruha. The series, which is based on a collection of popular Japanese light novels by Midori Yuma, is rated ‘T’ for Teens and will be published in print under VIZ Media’s Shojo Beat imprint with an MSRP of $9.99 U.S. / $12.99 CAN. The series is also available digitally for $6.99 via viz.com and the VIZ Manga App, as well as from the Nook, Kobo, Kindle, iBooks, comiXology, and Google Play stores. Future volumes of Kakuriyo: Bed & Breakfast For Spirits will be published on a quarterly basis. The Japanese collectibles company X-Plus Co., Ltd. has provided SciFi Japan with information and daikaiju-sized photos of of their next collaboration with Bandai; a light up figure of Fiveking from ULTRAMAN GINGA S (ウルトラマンギンガＳ, Urutoraman Ginga S, 2014). Photos courtesy of X-Plus. TM & © TOHO CO., LTD. The Japanese collectibles company X-Plus Co., Ltd. has provided SciFi Japan with information and daikaiju-sized photos of their limited edition clear Godzilla figures scheduled for release in March 2019. Both figures are based on the hit Toho movie SHIN GODZILLA (シン・ゴジラ, Shin Gojira, 2016). Photos courtesy of X-Plus. Godzilla, Ebirah and Mothra TM & © TOHO CO., LTD. Ultraman Great, Eleking and Astromons © TSUBURAYA PRODUCTIONS. The Japanese collectibles company X-Plus Co., Ltd. has provided SciFi Japan with information and nearly 100 daikaiju-sized photos of their giant monster figures scheduled for release in January 2019. Images courtesy of VIZ Media. © 2018 Pokémon. ShoPro, JR Kikaku. TM, ® Nintendo. VIZ Media, LLC,a premier company in the fields of publishing, animation distribution, and global entertainment licensing, delivers adventure and fun with the release of the Pokémon the Movie: I Choose You! manga on December 11th. Images courtesy of VIZ Media. Dragon Ball © 2015 by BIRD STUDIO, Toyotarou/SHUEISHA Inc. Bleach © 2001 Tite Kubo/Shueisha Inc.
VIZ Media, LLC, a premier company in the fields of publishing, animation distribution, and global entertainment licensing, has announced the release of Dragon Ball: That Time I Got Reincarnated As Yamcha! and Bleach Box Set 3 in early November. VIZ Media, LLC, a premier company in the fields of publishing, animation distribution, and global entertainment licensing, releases The Complete Art of Fullmetal Alchemist on November 13th. Photos courtesy of X-Plus. Godzilla and Minilla TM & © TOHO CO., LTD. Gorbagos, Ultraman Jack, Mururoa and Ultraman Taro © TSUBURAYA PRODUCTIONS. The Japanese collectibles company X-Plus Co., Ltd. has provided SciFi Japan with information and more than 200 daikaiju-sized photos of their giant monster figures scheduled for release in December 2018. Win Shin Godzilla (Atomic Blast) Figure from NECA! Win the new Shin Godzilla (Atomic Blast) 12” Head-to-Tail Figure from NECA! Photo courtesy of NECA. GODZILLA TM & © Toho Co., Ltd. © 2018 NECA, Inc.
NECA is offering SciFi Japan readers a chance to win their new Shin Godzilla (Atomic Blast) 12” Head-to-Tail Figure! From the hit SHIN GODZILLA (シン・ゴジラ, Shin Gojira, 2016), this version of the most famous kaiju in the world is based on Godzilla’s “Atomic Blast” attack in the movie. The figure measures 6″ tall and 12″ long from head to tail. It features Atomic Blast effects that attach to both mouth and tail, all new paint deco, new head sculpt, and over 30 points of articulation, including an articulated tail! As previously revealed on SciFi Japan, Tsuburaya Productions held a presentation in Tokyo this morning to discuss plans for their upcoming ULTRAMAN ARCHIVES (ウルトラマンアーカイブス) Project. 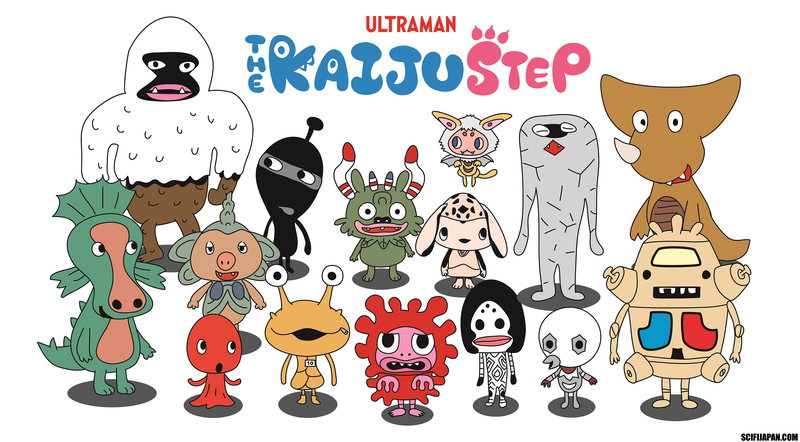 The goal of ULTRAMAN ARCHIVES is pass along the 50 year heritage of the Ultraman Series to the next generation, including those unfamiliar with the franchise. To the end, Tsuburaya Productions has diligently selected key episodes of the earliest series, which will be supplemented with commentaries from the original creators and various intellectuals, production photos and behind-the-scenes footage to provide an in-depth look at the virtues of these masterpieces. The ULTRAMAN ARCHIVES will also host public events and release home videos, books and limited edition products. Bluefin, the leading North American distributor of toys, collectibles, and hobby merchandise from Japan and Asia, invites anime fans, collectors, and pop culture aficionados to celebrate the 30th Anniversary of the pivotal Studio Ghibli anime classic, MY NEIGHBOR TOTORO (となりのトトロ, Tonari no Totoro, 1988), with an officially licensed plush doll that is available from Barnes & Noble. The 9-inch tall plush doll of the beloved Totoro character by Japanese manufacturer, Sun Arrow, is now available for purchase at participating Barnes & Noble locations nationwide for $30.00. Bluefin is further supporting the anniversary with a special online giveaway contest. 10 Totoro themed gift baskets will be awarded. Each contains a whimsical collection of Studio Ghibli officially licensed Totoro products valued at over $100.00.